then customize to your heart’s content! Searching for the right trade show booth for your next expo? The design and layout can have a huge impact on your trade show results, helping you make an impact and generate a positive return on investment from your trade show presence. From small booths to large trade show booth design, we specialize in designing eye-catching, effective exhibit booth that help you achieve your goals. Our experienced team has worked with a diverse range of businesses, from small startups to leading companies. 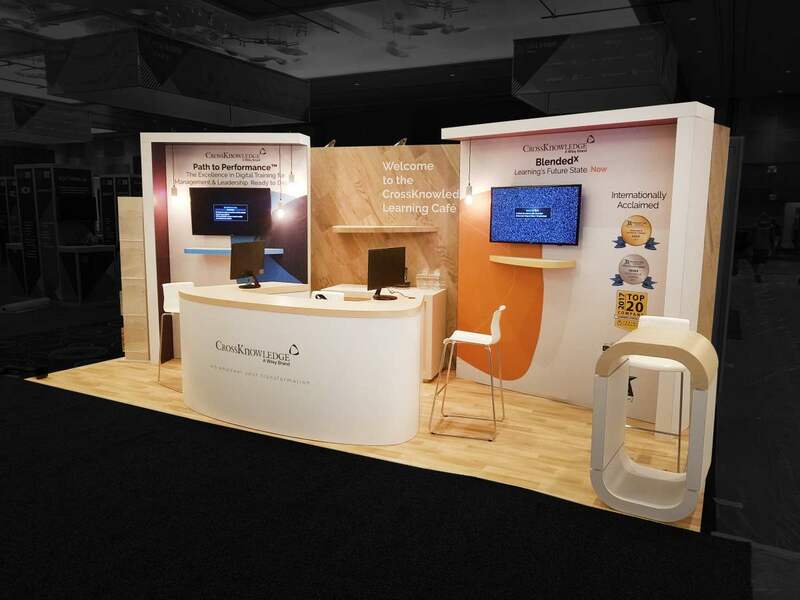 We offer a complete range of tradeshow booth design services, from design to build. We’ve even made design selection easier with our Booth Finder. Choose from pre-designed, customizable trade show exhibits for every show location and budget. And make your choice knowing that the price we quote you is the price you’ll pay. From 2000 sqft rental exhibit to 200 sqft modular rental booth, we do it all! Exponents was wonderful to work with. Very responsive and provided great support. We were extremely happy with our booths! The event went great – the stand was excellent and the build team was very helpful. On behalf of our team, we want to thank you all for the effort you put through to make KYON’s exhibit happen!We are looking forward to working with you in the future. Thank you for the message and thank you for your work.We got a great feedback from all visitors at the show and the experience was really good! In the competitive, crowded environment of a trade show, the right booth can truly make all the difference. First, it needs to have an eye-catching, effective design that attracts attention. Second, it needs to draw event attendees in, giving your business a steady flow of prospective customers and leads. Finally, it needs to deliver the right message, showcasing the best characteristics of your brand, service or product. As a custom trade show booth manufacturer, our goal is simple: to be your trusted, reliable partner in bringing your exhibits to life. Would you like a completely customized, convention booth for your next trade show? Exhibiting with a completely unique booth design lets you stand out from the crowd, maximize your presence and get the highest possible return on investment from any event you attend. We’re a full-service design agency and manufacturer. This means that we can not only design your booth but that we can turn your booth design ideas and brief into a 100% customized expo booth ready for your event. Our design process starts by listening to your needs, ideas and goals. Our experienced team can provide insights and advice based on our previous projects to make sure your goals can be achieved. From here, we’ll work on your brief to design an exhibition booth that achieves your goals while effectively presenting your brand and communicating your marketing message. We work strictly with your brand guidelines to ensure your booth matches your exact expectations. Throughout the process, our team will work with your in-house marketing staff to make sure your customized trade show booth matches your other marketing communications and materials. From a small 10’x10’ booth to a large 50’x50’ exhibit, we can manufacture trade show booth in a wide range of sizes. Once we’ve completed the design process for your booth, we can manufacture it to your exact standards and specifications. 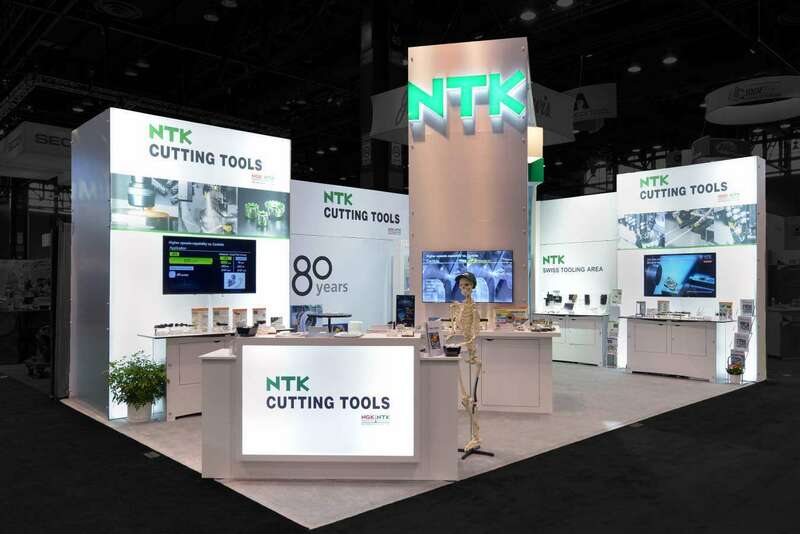 Our booth manufacturing team uses the highest quality materials to let them withstand the requirements of a busy, demanding exhibition environment. We offer a large range of custom trade show booth manufacturing options. If you need a highly modular booth, we can develop your booth using lightweight, modular materials for fast and easy transportation between events. 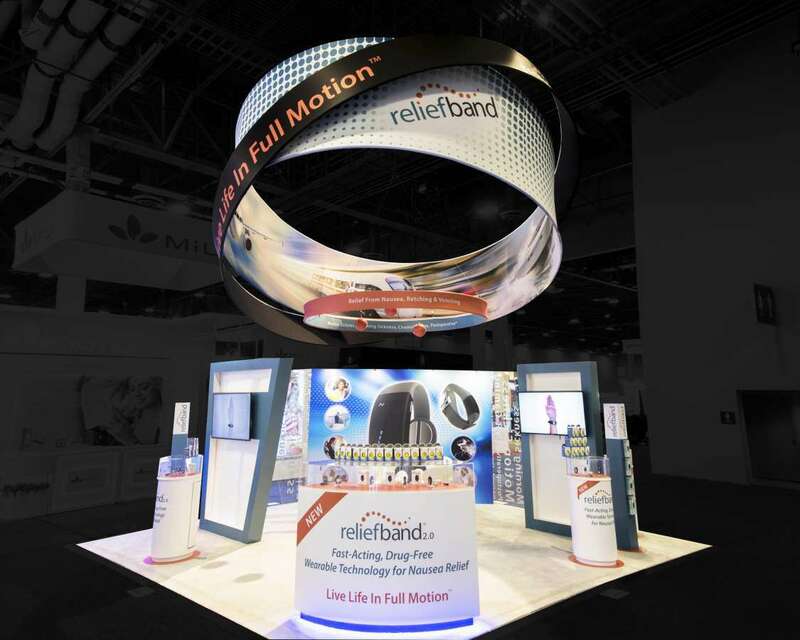 Want to create the ultimate eye-catching exhibit booth? 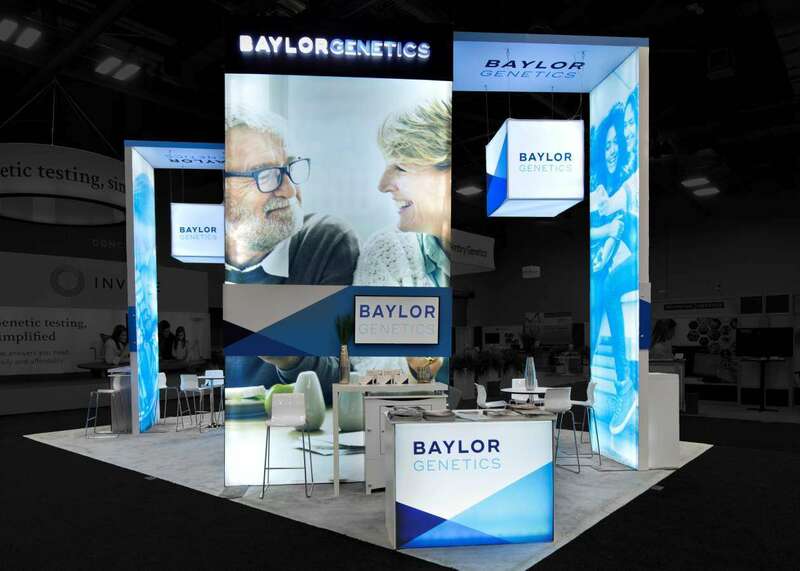 Using a large structural design, we can manufacture a completely unique booth that stands out, attracts attention and gives you a commanding presence at any trade show. 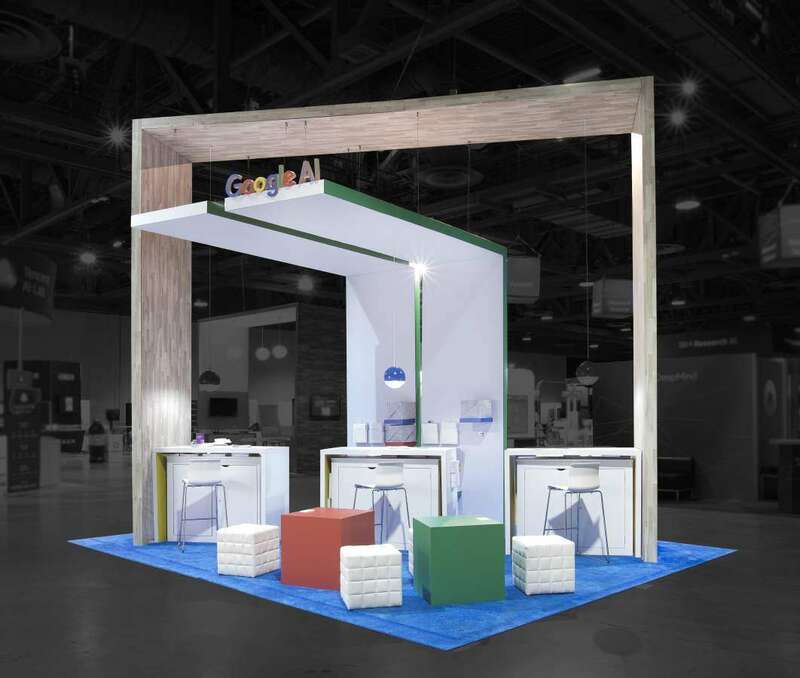 All of our custom trade show booths are designed with the long-term in mind, with features such as easy assembly and disassembly, optimal portability and simple storage between trade shows and other events. In addition to booth design and manufacturing, we offer a complete range of services for trade show exhibitors. Our experienced team can design and produce your trade show graphics, manage your entire trade show booth design and manufacturing project, provide installation, shipping, and logistics services, offer on-site event supervision and more. We also offer a wide range of rental booths, all of which can be customized to your needs for trade shows, industry events, and other occasions. Our services page contains a full list of our trade show design, prep, and management services. 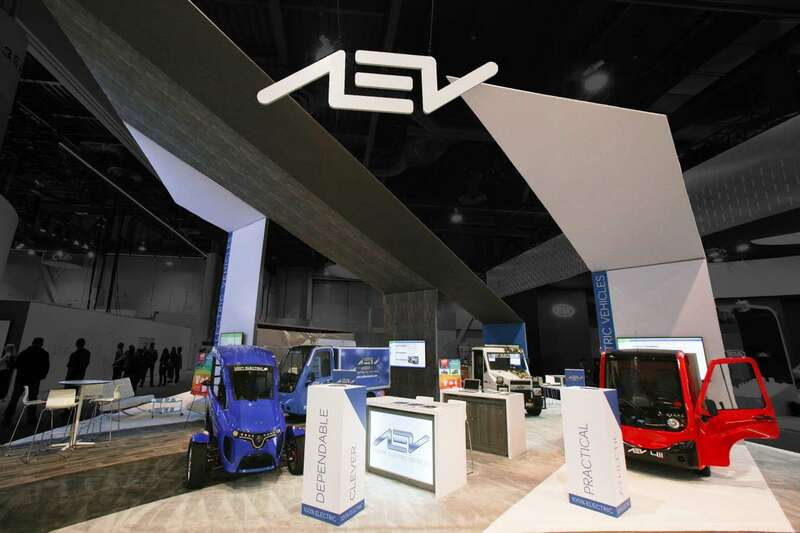 Are you interested in designing and manufacturing a custom trade show booth? We work with businesses of all sizes, from small businesses and growth-focused startups to large enterprises and well-known brands. During your 30 minute consultation, our team will provide exclusive advice to help you make the most of your trade show budget, stand out from competitors and achieve your objectives using a branded trade show booth. We can also provide design ideas, recommendations, and insight to help you turn your idea into reality.